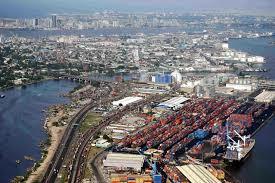 A total of 27 ships laden with petroleum products, food items and other goods are expected to arrive Apapa and Tin-Can Island Ports in Lagos between Aug. 7 to Aug. 21. The Nigerian Ports Authority (NPA) revealed this in its `Shipping Position’ on Monday in Lagos. NPA said that the ships contained buck wheat, bulk fertiliser, general cargo, frozen fish, bulk maize, empty container, Aviation Turbine Kerosene (ATK), base oil, aviation fuel, petrol and containers laden with goods. It was reported that nine ships had earlier arrived the ports, waiting to berth with bulk fertiliser, bulk corn and petrol. Twenty two other ships are at the ports discharging buck wheat, bulk corn, bulk fertiliser, general cargo, diesel, truck, base oil, petrol, empty container, raw sugar ballast, empty containers and containers.